Khalid proves that he’s best served around other talented people, whether it’s with Ty Dolla $ign on a song like “OTW,”—which appeared on our best songs of 2018 list—or in his new single “Talk,” produced by UK duo Disclosure. The new track expertly blends a light, bouncy R&B vibe with electronic glitches and synths to make a breezy, low-stakes but charming nonetheless love song about just wanting to get know someone special. “Talk” is the first release from Khalid’s still-untitled sophomore album due in April. The new record is the follow-up to 2017’s American Teen and the 2018 EP Suncity. 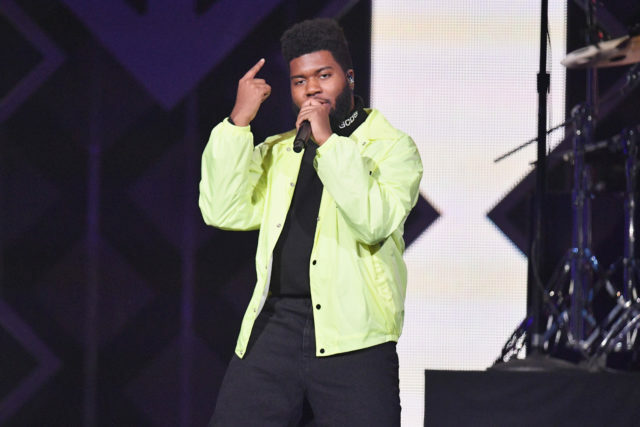 After the success of American Teen, Khalid appeared on tracks like “Love Lies” with Normani, “Eastside” with Benny Blanco and Halsey, and “1-800-273-8255″ with Logic and Alessia Cara. Listen to “Talk” below.